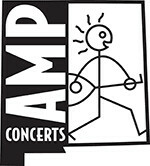 Tickets are $22 in advance, $26 day of show (plus applicable service charges). 21+. This is a standing room only show. There are no seats at Meow Wolf. So let's get to when you two met. It was a show at the Bootleg in LA, and Conor you were playing a secret show and Phoebe, your friend at the venue got you to open for them. This was July 2016, so before Stranger In The Alps was out, and Conor, you were there early enough to watch her set. And afterwards you asked her to send you her record. You must've really been impressed with her set. Conor Oberst: Yeah. It was a weird thrown together show. A lot of people played short sets, like Gillian Welch and Jim James. Kyle, who put on the show, said Phoebe was his favorite songwriter in LA, so I was excited to check it out. I was immediately struck by her voice. There are not a lot of people whose voice stops you in your tracks like that. Right, and so you guys would show up and guest at shows. And you're on Phoebe's song "Would You Rather". So really early on you started collaborating on music, right? That was kind of an immediate spark, this instinct to perform and sing together. And your voices, they really compliment one another. There's something really special about when you duet. Particularly when you sing in unison, it really works. Phoebe, you have a really sweet, crystal clear voice and Conor, yours is more world weary and raspy, so there's something really striking about them together. Phoebe Bridgers: I do agree that Conor's voice is pretty raspy. The first song you wrote together is the first song on the album, "I Didn't Know What I Was In For," and at that time you weren't really thinking it would be a whole album but you knew you wanted it to be its own thing, not a Phoebe Bridgers & Conor Oberst album of acoustic songs? 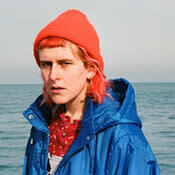 Originally from London, Lillie West, the Chicago-based songwriter behind Lala Lala, moved with her family to Los Angeles, where she spent her teenage years, and later to Chicago, where she enrolled at the School of the Art Institute of Chicago. Inspired by those cities' DIY music communities, she started Lala Lala as an outlet where she could process her new experiences, which often involved toxic relationships and partying around the city with beloved friends. The turbulence in West's life throughout that period resulted in an abrasive but tender debut album, Sleepyhead (self-released, 2016). West decided to quit drinking, and she began booking her own DIY tours across the country. Sobriety provided her with a newfound sense of self and clarity, and she began writing the songs for 2018's The Lamb while also starting the process of re-learning how to live her life.